Have fun working with glass. Come and enjoy learning about and getting creative with stained and fused glass. There are a variety of differnt type of glass workshops to choose from.to satisfy your crafting craves. 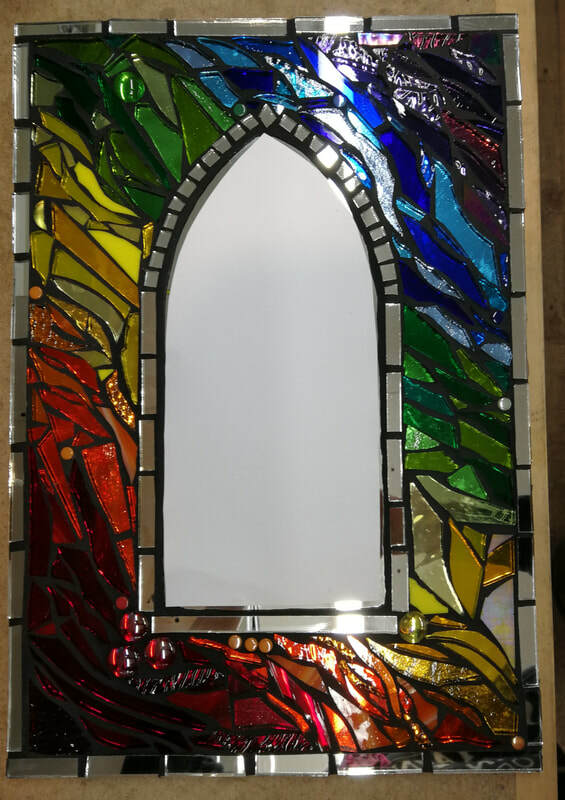 Learn how to make stained glass windows here in Devon. I will teach you how to create a traditional leaded window panel, a stunning suncatcher magical mobiles, beautiful bunting, or a terrific terrarium. Give your plain windows a makeover with a stunning stained glass window valance. Get creative with fused glass too. Workshops are all-inclusive and are held throughout the year in right here in beautiful North Devon. Why not join my mailing list so you don't miss out on any special offers and so you get to hear about new workshop dates as soon as they are added? Why not choose to give a creative experience? Gift vouchers available. Contact me for hen parties, individual, friends/couples and family group bookings. You can take part in group workshop or get together with a group of up to six friends or family or have your own, exclusive tuition. Just choose a date to suit and a style of glass workshop. Please contact me for futher details and available dates. Give the gift of creativity. My workshops make the perfect gift for friends and family. I offer a range of gift vouchers for stained glass workshops.